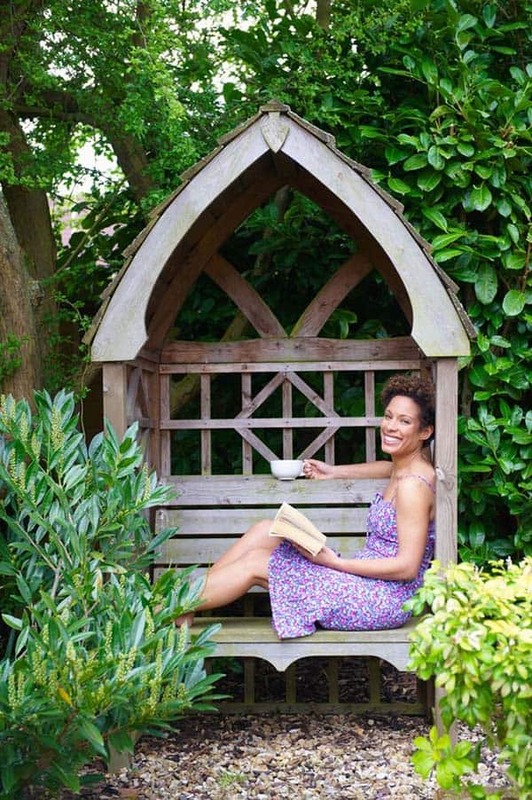 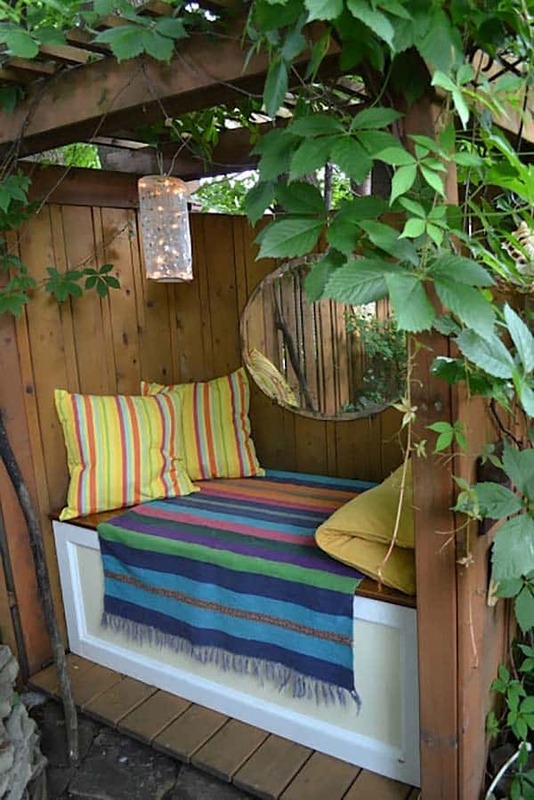 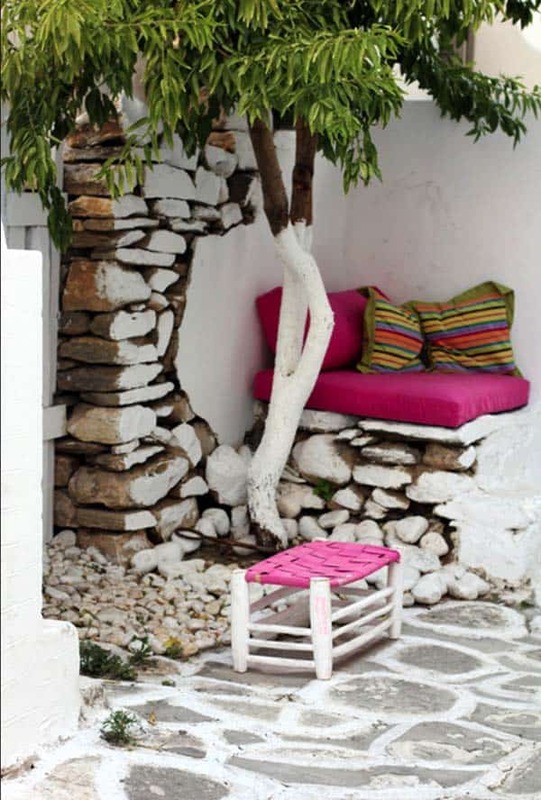 Creating your own little slice of heaven with an outdoor nook doesn’t have to be a major overhaul, the perfect reading space can be all yours with just a little ingenuity. 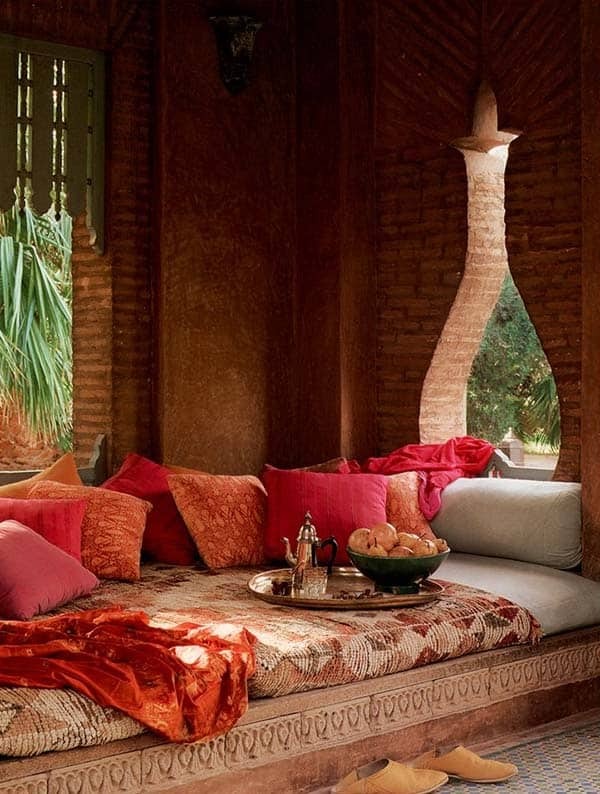 It can be as simple as a giant cushions with some pillows, a throw in case you get chilly and maybe even a mosquito net to keep those pesky things from interrupting a deliciously good novel. 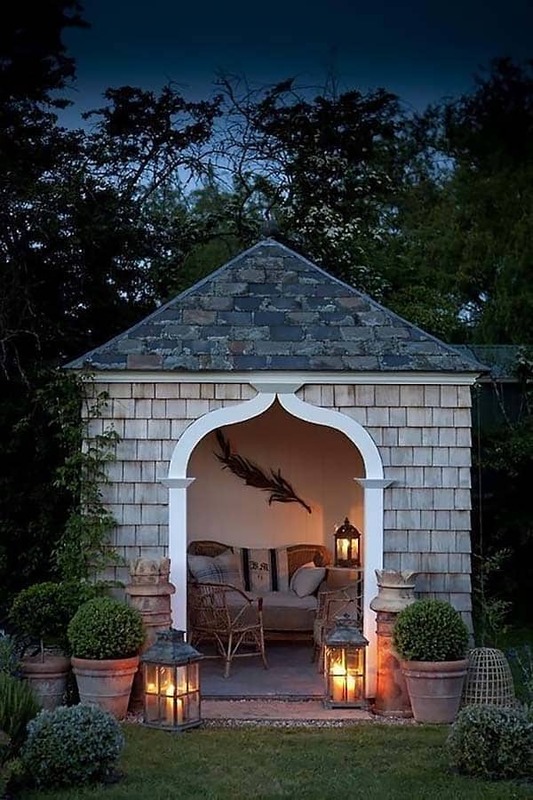 Whatever you decide to create for your outdoor space, it should reflect your personality and be a quite place where you can escape, even just for a little while. 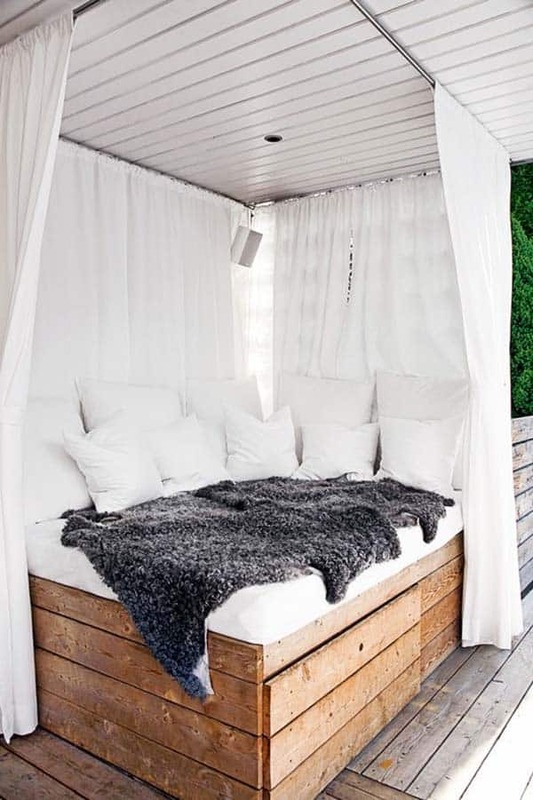 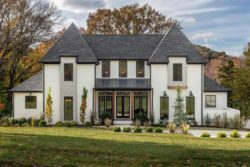 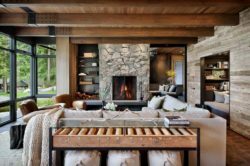 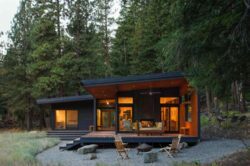 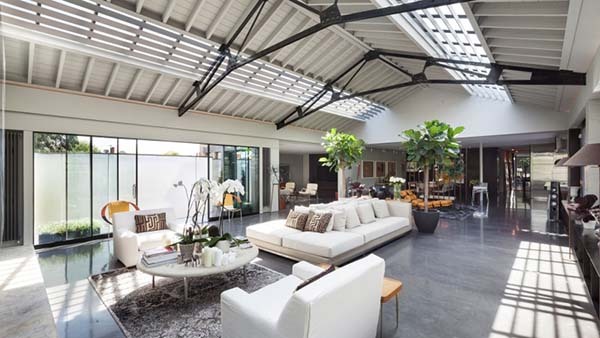 Have a look at some other super cool outdoor inspiration that we have featured in the past here on 1 Kindesign and be prepared to get mega-inspired! 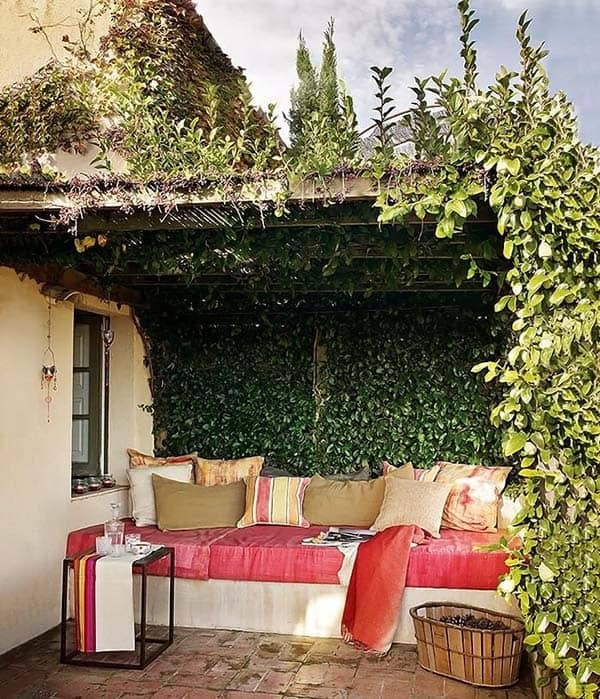 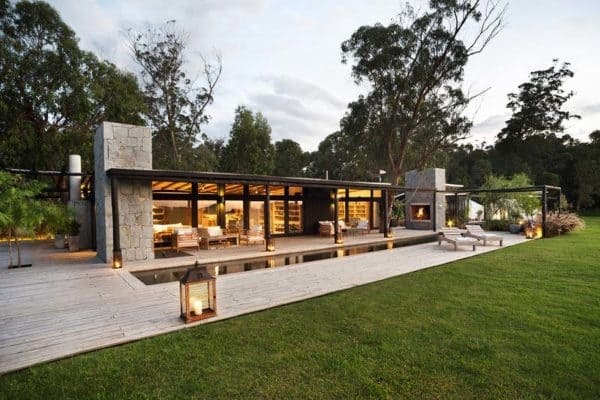 58 Amazing bright and colorful outdoor living spaces and 54 Cool and relaxing outdoor living spaces to welcome summer. 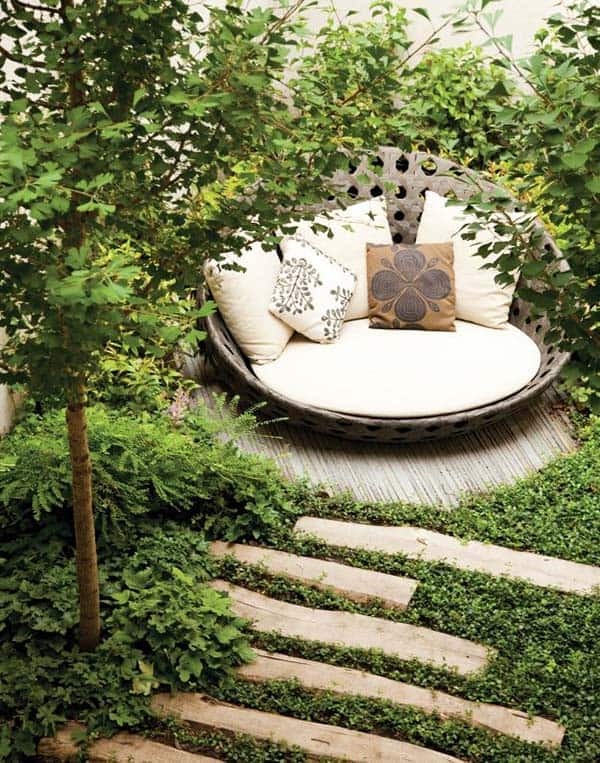 Steps lead down to a beautiful garden reading nook. 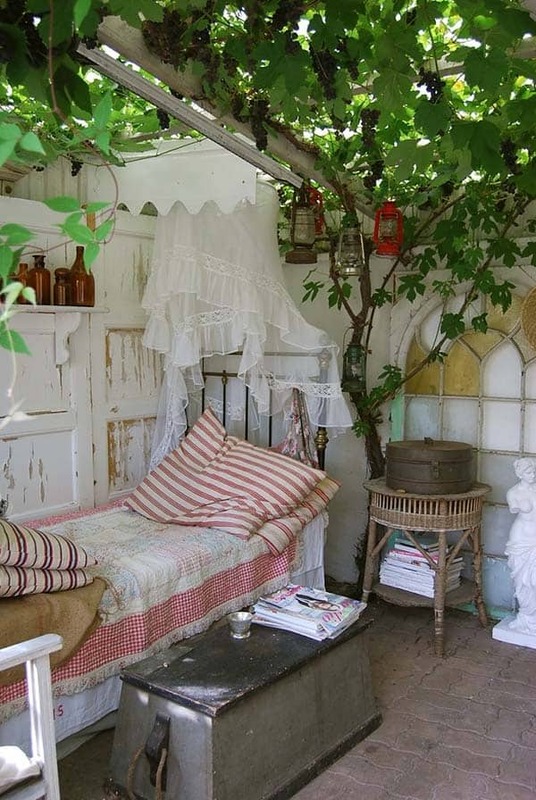 Tucked in a garden is this cozy little hideaway that provides great shade for reading a book. 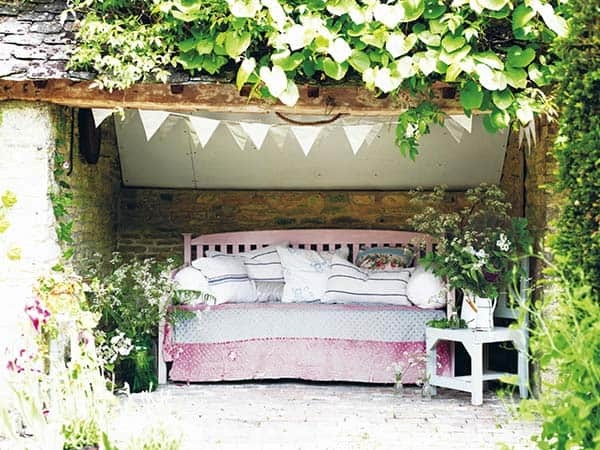 String some inexpensive fairy lights to provide some ambiance and an oval bevelled glass mirror adds some sparkle and depth. 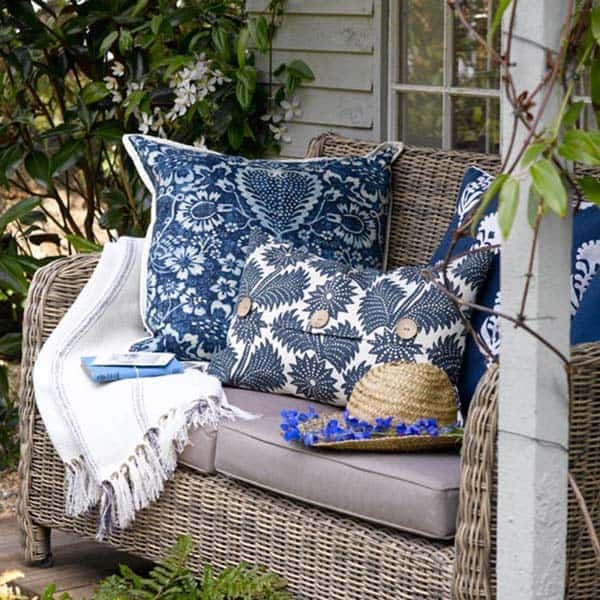 Complete the look with some outdoor toss pillows, maybe a seat cushion for extra comfort and a throw to keep you warm on a cool day. 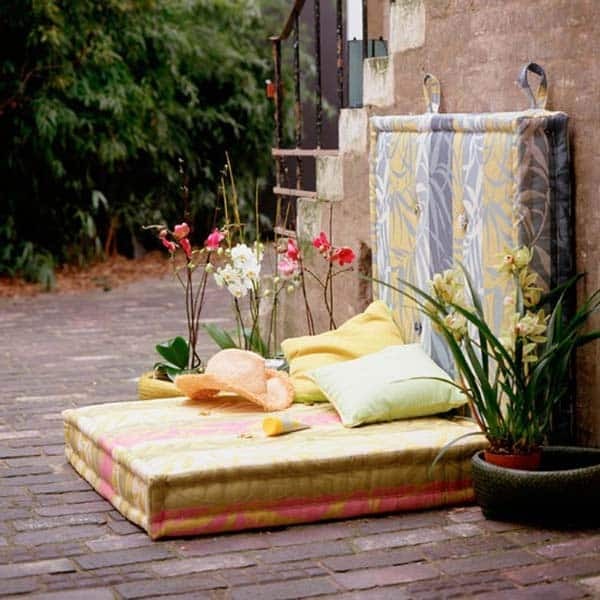 You could design the top of the seat to open and store pillows when not in use. 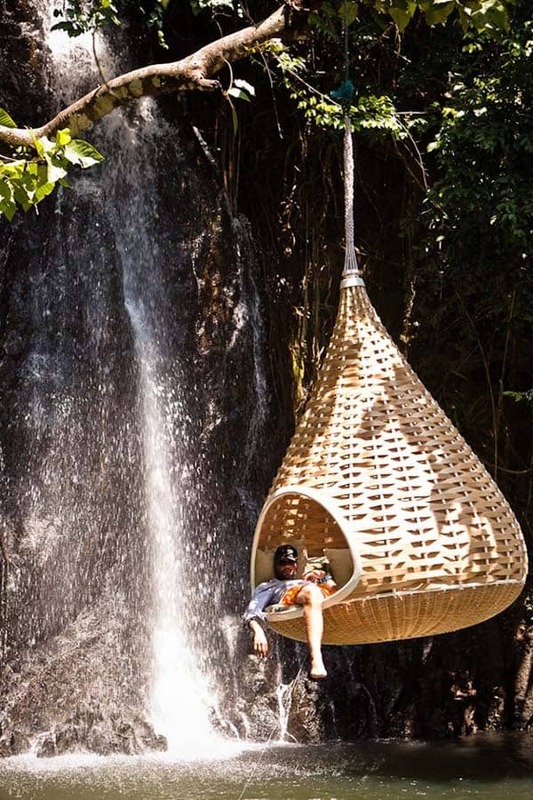 A hanging Papasan chair would be a simple DIY project to make. 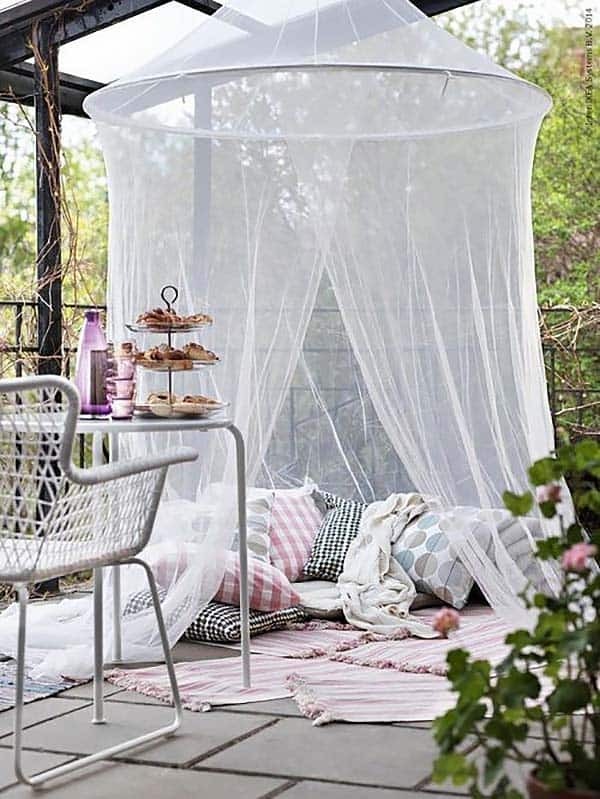 The idea is to hang a papasan chair in an outdoor area of your choosing (try World Market or Pier 1, or even a flea market), get some heavy duty rope to suspend it and toss in some cozy throw pillows and maybe even a throw. 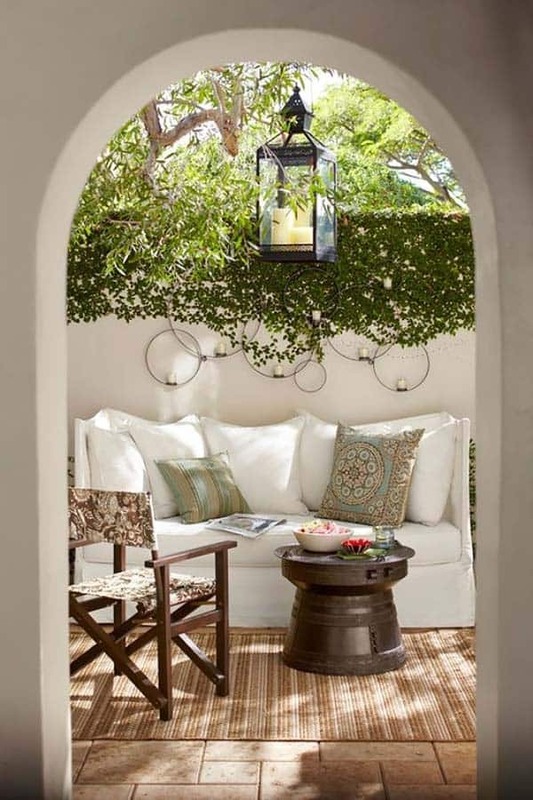 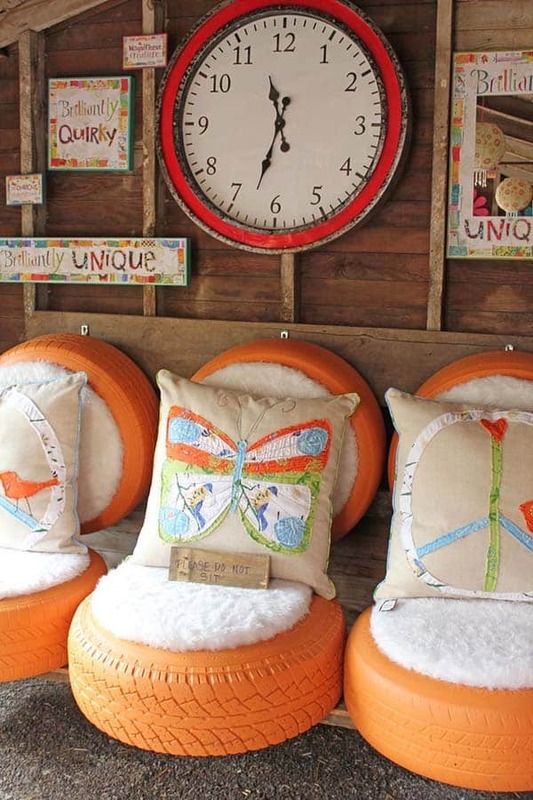 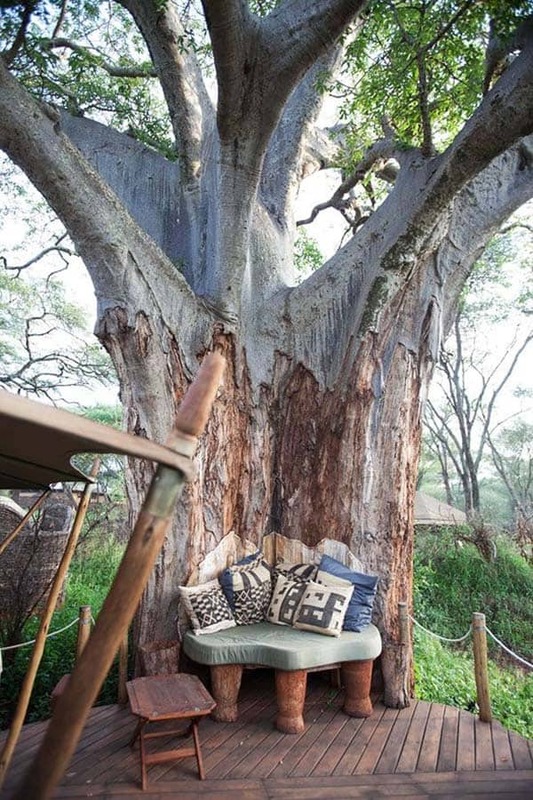 The perfect idea for a comfy little reading nook to enjoy the great outdoors! 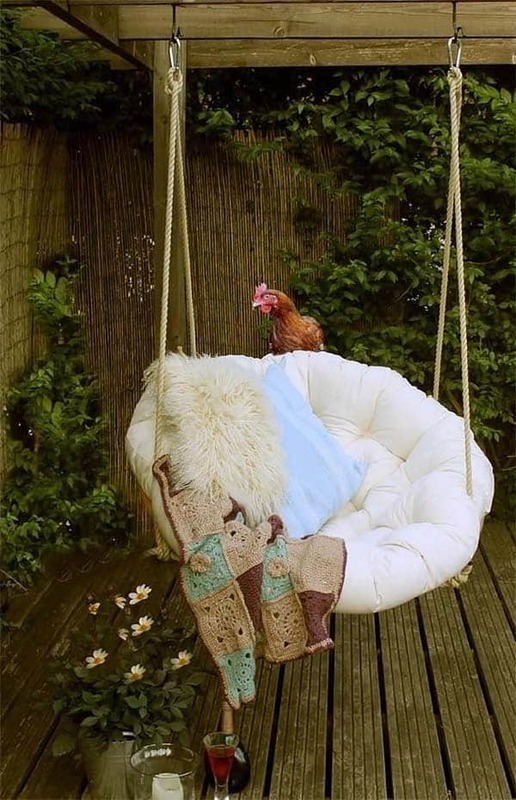 Maybe even a great place to take a nap? 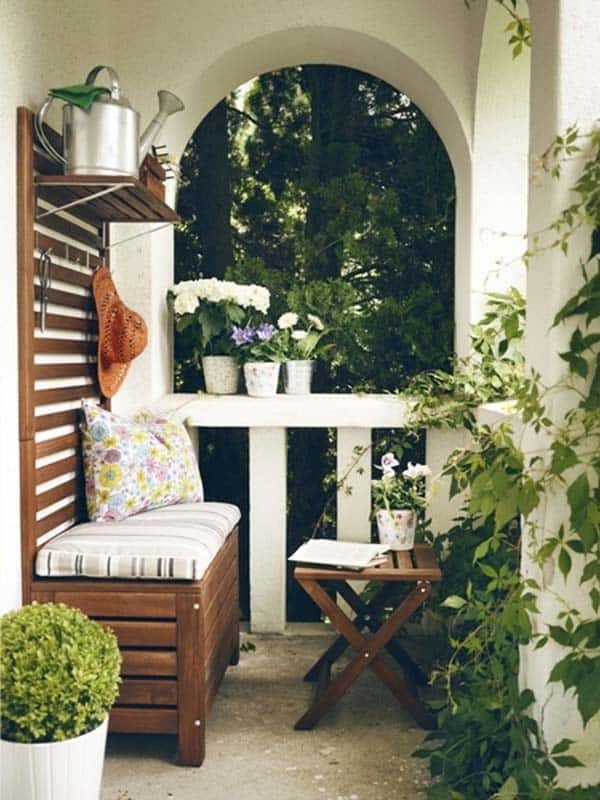 Design a covered bench in your outdoor space for reading on your patio or garden space. 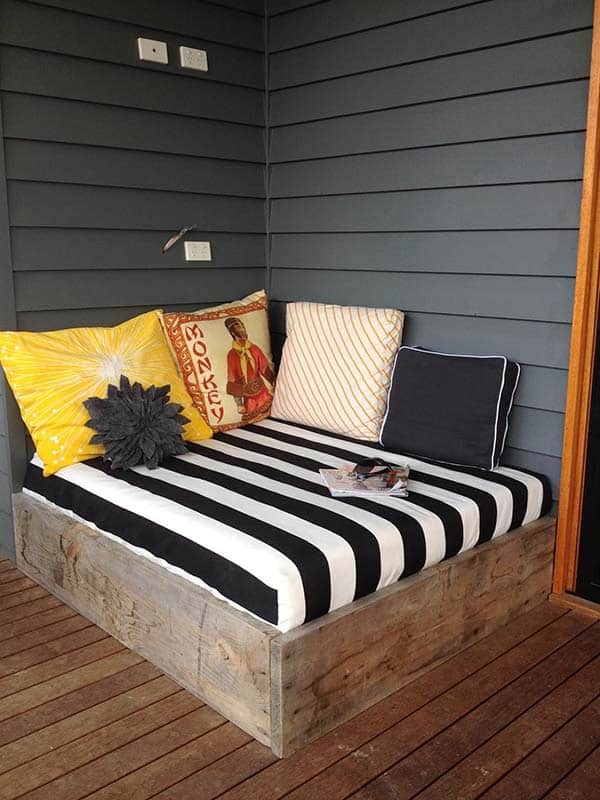 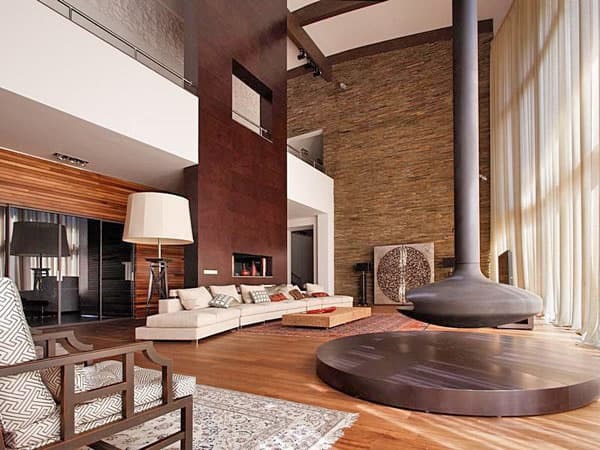 If you want to add extra comfort, stack cushion or pillows.